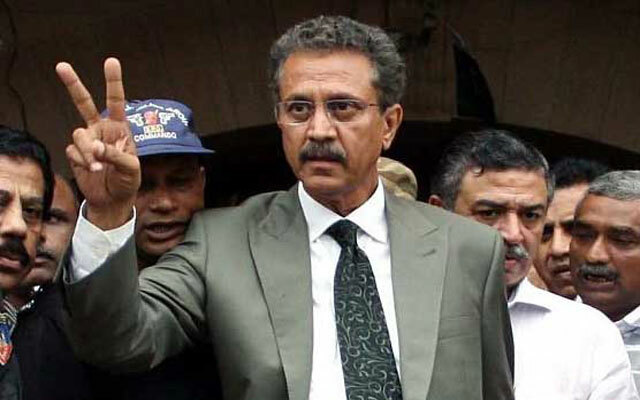 KARACHI: Mayor Karachi Waseem Akhtar said on Saturday that former Muttahida Qaumi Movement-Pakistan leader Farooq Sattar should leave politics for good and stay at home to spend the rest of his life fulfilling religious duties. “His time is over now; he has put an axe on his own foot. He should let people do their work,” Akhtar said while responding to a question. Akhtar admitted that the local government was not able to deliver to the people of Karachi owing to Sindh government’s non-cooperation. “Had we been given required resources and packages from the federal government, we would have been able to serve better,” he added. The mayor said that he was told to serve the city with his hands tied. “I admit I wasn’t able to serve according to the mandate as I had very limited authority,” he remarked. Akhtar demanded the authorities to resolve the issues of residents of federal government quarters. “The residents have been living since last 46 years. The residents have a right to live there, its there right to live there. The government of the day gave the land to the residents,” he claimed. The mayor said that patharas are returning to the areas where the anti-encroachment operations were conducted, adding that it’s the responsibility of the police to take action against the ongoing recent encroachment.